Mike & I greatly appreciate all of your hard work and professionalism regarding the floral arrangements for our wedding day. Everything was gorgeous! Thank you so much for the absolutely beautiful flowers! I loved them so much! We were so lucky to have you be a part of our day. I still can't get enough of my bouquet! I absolutely loved my bouquets, they turned out so gorgeous! They were one of my favorite details of my wedding! I dried mine because I couldn't let go. Thank you so much for doing our floral arrangements for the wedding! We received so many compliments and everyone loved how my bouquet just popped against my dress! They were absolutely perfect! Thank you again for everything! I absolutely loved working with you. The flowers, every single one down to the petals you gave the flower girl, were absolutely beautiful. Thank you so much for the amazing job you did with the flowers for our wedding. They were wonderful. It was a pleasure working with you. Thank you again for the amazing flowers! The girls & I especially loved our bouquets! They were absolutely beautiful! And the cake was stunning! Very classic. The flowers were so beautiful! I was blown away by the flowers at the wedding. They were really one of my favorite parts of the whole event. The flowers turned out beautifully! Thanks again. I can’t tell you how many compliments were given on the flowers. I just wanted to say the flowers looked fantastic and we were so happy with them! The flowers were beyond fabulous! We just wanted to thank you for the beautiful flowers for our wedding and reception. We loved them. Thank you for the wonderful job you did with the flowers for our wedding. They were perfect! 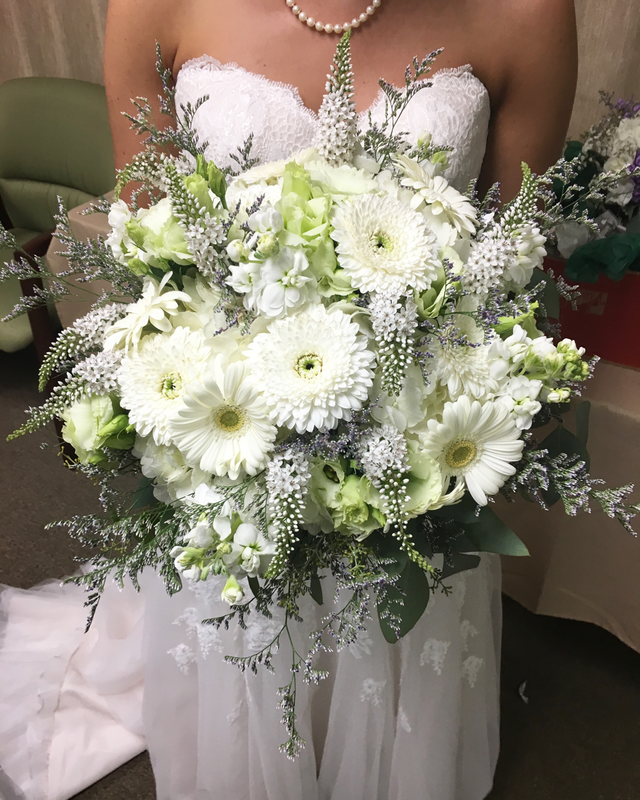 I absolutely loved my Bouquet! Thank you so much for everything with my wedding. The flowers were PERFECT! Also, the yellow and fuchsia flowers in the glass bowls brought beautiful color to the room! Thank you again!! Thank you for all your hard work on the flowers! It has really been delightful working with you.